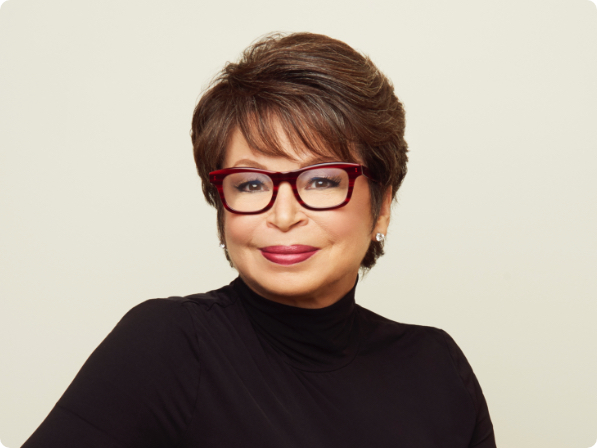 Valerie Jarrett was the longest serving senior adviser to President Barack Obama. She oversaw the Offices of Public Engagement and Intergovernmental Affairs and chaired the White House Council on Women and Girls. Before joining the White House, she served as the chief executive officer of The Habitat Company in Chicago, chairman of the Chicago Transit Board, commissioner of Planning and Development, and deputy chief of staff for Chicago mayor Richard M. Daley. Jarrett has received numerous awards and honorary degrees, including Time's ""100 Most Influential People."" She received her B.A. from Stanford University in 1978 and her J.D. from the University of Michigan Law School in 1981. She is currently a senior adviser to the Obama Foundation and Attn, serves on the boards of Ariel Capital Management Holdings, 2U, Inc., and Lyft, and is a senior distinguished fellow at the University of Chicago Law School. She also works closely with When We All Vote and United State of Women. Valerie’s upcoming book, FINDING MY VOICE: My Journey to the West Wing and the Path Forward, will be published in April 2019.